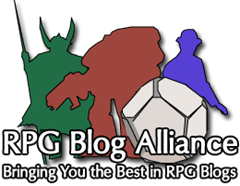 While on my quest to include quite a bit more of the D&D content that I love and cherish so much I’ve been adding blogs like crazy to my gReader. Monsters and Manuals so far has been a great pickup. Not only does he have some excellent insights on various topics, but he does a lot of crosslinking with other excellent D&D focused blogs which gives me that many more to pick from. This post in particular hits on one of things that I do in my D&D campaign. Making rulings and not necessarily following rules. Sometimes it drives my players crazy, but they all agree that situations change from week to week and generally the rulings make the game smoother and at least more entertaining.